When will be Alaska's Toughest Pilots next episode air date? Is Alaska's Toughest Pilots renewed or cancelled? Where to countdown Alaska's Toughest Pilots air dates? Is Alaska's Toughest Pilots worth watching? Strap in for a death-defying flying experience as the planet's hardest pilots return to patrol the most dangerous skies in America in Alaska's Toughest Pilots.Flying in Alaska is highly treacherous, but these avid aviators are prepared to run the risk to get around, have fun and even save lives. Keller Wattum is the "eye in the sky" for a fishing vessel in Kodiak Island's annual herring run. And in Juneau, it's chopper pilot Dustin Carroll who's responsible for keeping basic services up and running when technicians need to find a problem at the local cell towers... 4,000 feet up in the mountains. In Juneau, Dustin Carroll and Jag Garrard are flying support for the local power company. They must reconfigure a nearly 50-mile chain of power lines running through the mountains that has been damaged by avalanches in recent years. Meanwhile in Haines, the Alaska Department of Fish and Game has contracted Drake Olson for a survey flight of the local waterways. But it will mean making a dangerous landing on a narrow strip of gravel in Alaska's rugged backcountry. Restless, young flyboy Jay Wattum has decided to join the ranks of Fly Denali Tours, an operation that flies tourists onto the glaciers surrounding Mt. McKinley. Meanwhile in Haines, Drake Olson is busy catering to throngs of flight-seeing tourists. Worried that Drake has "lost his soul," Drake's apprentice Bryan suggests a scouting flight to new undiscovered mountain locations. And outside of Juneau, Dustin Caroll of Coastal Helicopters must battle a forest fire that threatens not only the homes of nearby residents but also the nesting grounds for a group of Bald Eagles. Ryan McCue is transporting supplies and personnel to a desolate mining site on Prince of Wales Island when bad weather forces him to weigh the risks of a forced landing. In Kodiak, Keller Wattumm is spotting fish from the sky for the crew of the Crimson Beauty during the annual herring fishery. Meanwhile, Don Lee helps a group of aviation enthusiasts in Talkeetna rebuild an old Cherokee Six airplane from the 60's, before supplying his buddy and Alaskan bush resident, Willy Ivey, with an Alaskan staple. 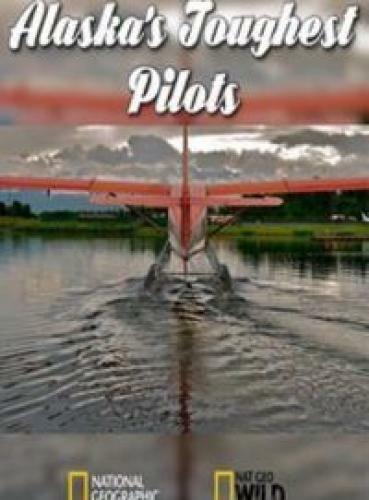 Alaska's Toughest Pilots next episode air date provides TVMaze for you. EpisoDate.com is your TV show guide to Countdown Alaska's Toughest Pilots Episode Air Dates and to stay in touch with Alaska's Toughest Pilots next episode Air Date and your others favorite TV Shows. Add the shows you like to a "Watchlist" and let the site take it from there.